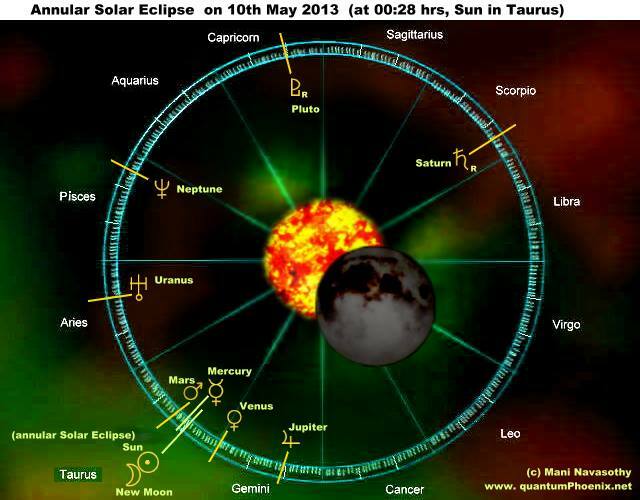 Astrology Charts & graphics for Solar & Lunar Eclipses of April & May 2013 | QuantumPhoenix.net – Esoterica, Paganism & Ritual Magic. 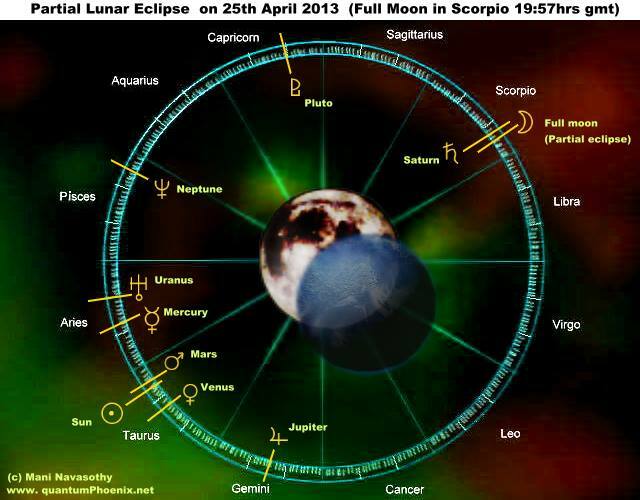 Well, we have a Full Moon (lunar) partial eclipse on 25th April 2013, then a Solar eclipse on 10th May 2013, and another Full Moon (penumbral lunar) Eclipse on 25th May’13. 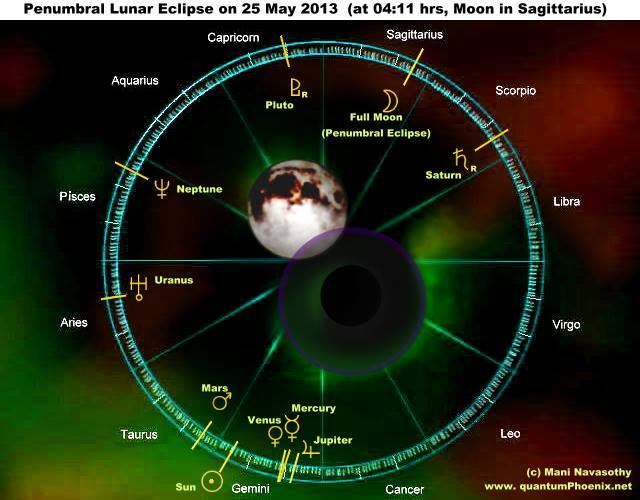 I’ve created Astrology charts for all 3 of them, so you can see where the planets will be on those specific days..
I’ll be writing more on how and who are affected by these Eclipses, and if you do know your own birth chart / planetary positions, – how you can work out if any parts of your life will be severely affected!! 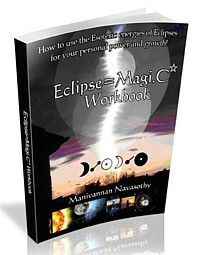 Use the power of Solar & Lunar Eclipses in Esoteric work – World’s first book on Eclipse Magic.. written by Mani Navasothy. 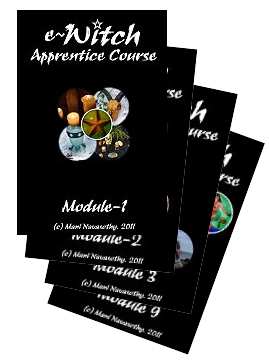 Click to Read more .. Previous PostSociety: Why must people of Britain dance on the grave of Margaret Thatcher?Next PostDarkLighter vs WhiteLighter? Which one are you?